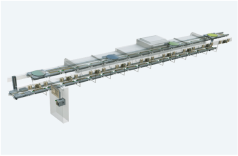 The modular manufacturing line demonstrates on the basis of versatile processing and assembly that increased productivity and flexibility can be achieved by means of Industry 4.0 even today. All stations are consistently connected vertically and horizontally via open interfaces and provide all relevant information in real-time. The flexible manufacturing concept combines fully automated and manual work stations into a consistent manufacturing solution by means of cutting-edge automation and IT technologies. All necessary information is being shared seamlessly with superordinated IT systems, including the cloud. The products themselves transmit their required production data and thus provide the basis for the efficient manufacturing of batch size 1 at change over 0. 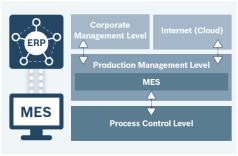 The i4.0 Upgrade Kit connects existing machines, modules or lines without sufficient connectivity to Industry 4.0 topologies. Their data can be automatically processed in superordinated systems and can be used for condition monitoring and data mining purposes. The implementation does not require any modifications of the existing automation solution. The web-based configuration of the i4.0 Upgrade Kit can be carried out without any specific programming skills. 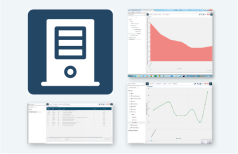 The web-based Data Analytics Server consolidates and analyzes machine and process data in order to increase the availability and productivity of manufacturing lines. By means of predefined mathematical methods and visualization, the software ensures the easy analysis of processing data – the ideal solution for quality assurance, process improvement, and predictive maintenance. 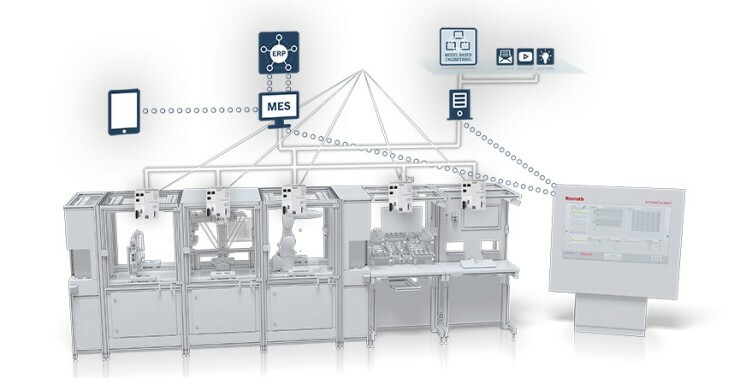 The open architecture of Bosch Rexroth’s automation platform facilitates the direct connection between the Manufacturing Execution System (MES) and distributed control systems, and thus allows for the real-time control and monitoring of production processes as well as the access to actuators and sensors. The Process Quality Manager safely and reliably monitors and documents tightening processes. Trend deviations from the standard process are detected in time to prevent the manufacturing of faulty workpieces. The user benefits from direct notifications on faults in the manufacturing process. The data can be stored in customer-specific clouds or in the Bosch IoT Cloud. This ensures the worldwide availability of data. ActiveCockpit is an interactive communication platform for the immediate processing, filtering, and visualization of manufacturing data according to individual requirements. ActiveCockpit facilitates the networking of IT applications such as production planning, quality data management, and e-mail dispatch, with the software functions of manufacturing plants. The information serves as a basis for decisions and the optimization of processes involving humans, machines, and manufacturing processes at the shopfloor. ActiveAssist offers worker support for multi-variant assembly processes. RFID technologies facilitate the clear identification of products. The staff receives the required work instructions and is guided through the manufacturing steps via beamer or pick-to-light displays. Assembly steps are monitored and approved by means of cameras, ultrasonic systems, or the torque of a tool. 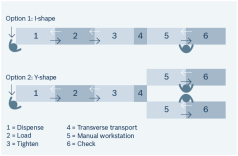 The Bosch Rexroth flexible transport system (FTS) is a unique technical solution for the transport and positioning of materials and workpieces. It offers maximum accuracy, freely programmable synchronized motion sequences, and is faster than conventional systems. The entirely contactless drive concept ensures the particle-free transport and is based on linear motor technologies allowing the individual positioning of every single workpiece. 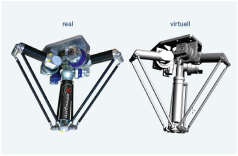 Through the open architecture of Bosch Rexroth’s automation platform, robots with different kinematics (e. g. Cartesian, delta, articulated arm) can be integrated and intelligently connected on several configuration levels. 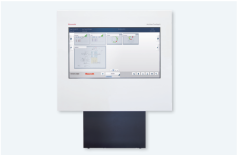 It is possible to command robots directly by means of Bosch Rexroth controllers with standard programming in PLCopen, high-level, or script languages. 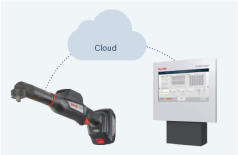 The intelligent tightening systems from Bosch Rexroth are equipped with integrated torque and rotation sensors and intelligent software functionalities to ensure processreliable tightening connections. The tools can be integrated into the automation environment either via cable or wireless via WLAN by means of a wide range of interfaces and protocols for the exchange of commands and data. Starting with the construction of the machine, virtual images are being generated. This enables machine and line manufacturers to accelerate the development process up to the virtual commissioning. Model-based engineering helps line operators to adapt their machines to new products very quickly – new motion sequences can be easily simulated and optimized. This reduces setup and retooling times during product and variant changes and increases the productivity without further efforts. 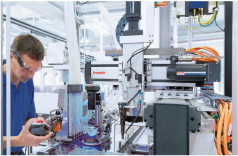 Bosch Rexroth manufacturing solutions are based on a consistently flexible, modular, and scalable model. According to the respective requirements, different manufacturing layouts consisting of manual and automated work stations with self-sustaining controls can be quickly realized. This makes it possible to easily integrate the modules, which may be required for additional process steps, via defined interfaces into the overall system. With the Digital Service Assistant, Bosch Rexroth quickly provides the relevant information for troubleshooting. 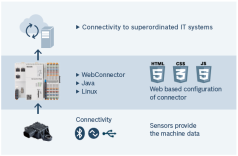 The operator receives the data of the involved components on smartphone or tablet and can access all related documentations via direct links to the Bosch Rexroth media server. The Service Assistant directly forwards queries on more complex issues to the Bosch Rexroth helpdesk.